Sarapiquí River is one of Costa Rica’s loveliest and most exciting destinations for rafting. This tour takes you down some of the swiftest parts of the river, including some Class III and Class IV rapids. These rapids are technically changing, and you’ll be swept along on rapids that include some rushing waves. Your expert guides will give you expert instruction for navigating these rivers. This tour begins with an overview of the equipment and important safety information. Then you’ll push off into the rapids, and paddle your way past some of Costa Rica’s extraordinary jungle scenery. Halfway through the tour you’ll stop on a riverbank for some refreshment and tropical fruit. Once you get back from the starting point you’ll get a cold drink and a towel before you continue to a nearby restaurant for a typical Costa Rican lunch. There is a place for you to change into dry clothes before you eat. Transportation, equipment, guides, fruit snack, and lunch. "We were picked up on time from the hotel and had just the best day of our holiday doing the river rafting. We felt safe at all times, and had an expert guide with us. We stopped halfway for some fruit and jumped off a wall, which was exhilarating, and saw loads of birds and wildlife along the river. At the end we were given towels to dry off and were provided with an ample lunch and refreshments before being dropped back at the hotel." We were picked up on time from the hotel and had just the best day of our holiday doing the river rafting. We felt safe at all times, and had an expert guide with us. We stopped halfway for some fruit and jumped off a wall, which was exhilarating, and saw loads of birds and wildlife along the river. At the end we were given towels to dry off and were provided with an ample lunch and refreshments before being dropped back at the hotel. Our tour guides were amazing! They were very friendly, helpful, and we feel very comfortable. Beto who is a French intern did a great job, and so did Axel! We highly recommend! This was my first time rafting - and it was spectacular. 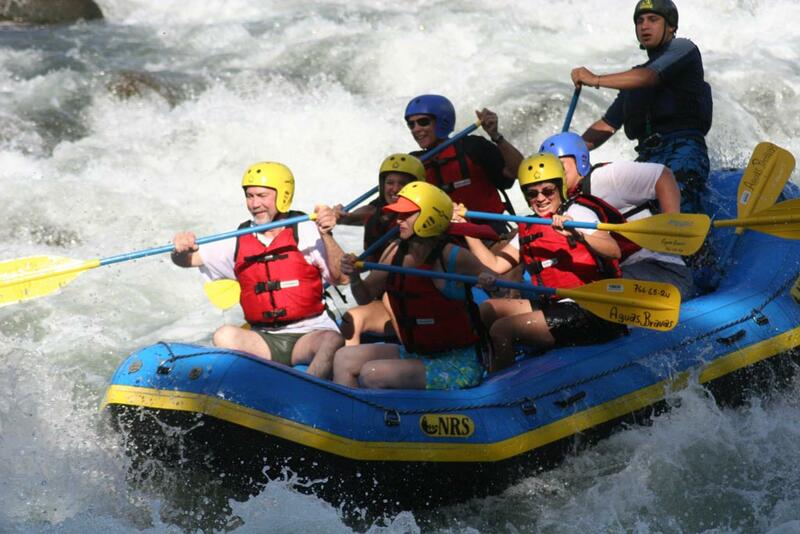 When I told Sirleny we had never been rafting, she recommended this tour over some others. And she was right. Just perfect for a first-timer. Victor (our guide) and his son Axle (and other guide) were wonderful. Safety was clearly their primary concern - but they were so good at it - we got to have a lot of laughs and good times, too! For this tour we left from Tilaran to La Fortuna, met at Anywhere Costa Rica and the tour guide arrived shortly after. Fauri our guide knew who we were standing outside Anywhere Costa Rica office and off we went. 2 hour tour drive to Sarapiqui from there. Able to see Pineapple and other plantations on the drive. Fauri gave us a quick lesson we did Class 3 River rafting, and I have never done it before. Fauri was very professional and so was the safety Kayak gentleman as well as the driver. Rafting was a blast! Pura Vida! We had fresh fruit with mangos and pineapple half way down river and it was the best fruit I ever ate. 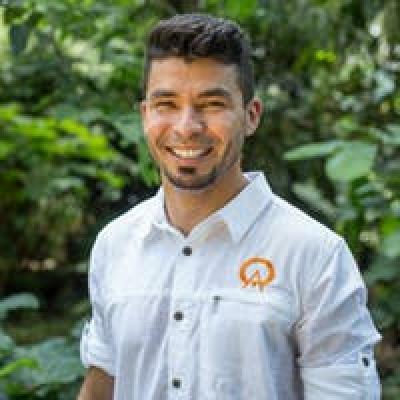 We slowed to catch monkeys, tiger herons and tucans, Fauri always told us information about Costa Rica and the rainforest and animals during the lowtimes without rapids. The tour ended with a dinner at the end of the river at a restaurant and el pollo with rice and beans was delicioso as well. We were all very tired by the end of the day, so I'd like to thank Fauri and the other guides for being so helpful, professional and incredible.